Williams compiled 17 catches (on 46 targets) for 171 yards and one touchdown in 10 games during the 2018 campaign. He also added one carry for nine yards. Williams brought in one of four targets for seven yards in the Cardinals' 31-9 loss to the Rams on Sunday. Williams (hamstring) put in a full practice Friday and doesn't carry an injury designation into Sunday's game against the Rams, Josh Weinfuss of ESPN.com reports. Analysis: Williams is set to put a six-game absence to an end this weekend, though the extended break may force him to settle for a more limited role in the Cardinals' passing attack than he held prior to the injury. Even though he started each of the Cardinals' first eight games, Williams was one of the NFL's least efficient receivers, catching just 35.5 percent of the balls directed his way for 3.6 yards per target. Williams (hamstring) practiced in a limited capacity Wednesday, Darren Urban of the Cardinals' official site reports. Coach Steve Wilks said he is "hopeful" Williams will be able to play Sunday against the Rams, Josh Weinfuss of ESPN.com reports. Analysis: Williams has missed the last six games but finally returned to practice Friday for the first time since Nov. 30. The 24-year-old's status should receive further clarification once the Cardinals resume practice Wednesday, but he likely will need to practice fully by Friday if he is to avoid an injury designation, given his extended absence. Williams (hamstring) is listed as inactive Sunday at Atlanta, Darren Urban of the Cardinals' official site reports. Analysis: Despite practicing for the first time since Nov. 30 on Friday, Williams' hamstring isn't healthy enough to clear him for a return to action. While he embarks on his sixth consecutive absence, the Cardinals' receiving corps will be Larry Fitzgerald and not much else Week 15. Williams (hamstring) practiced in a limited capacity Friday and is listed as questionable for Sunday's game in Atlanta, Darren Urban of the Cardinals' official site reports. Analysis: Williams made his presence felt in practice for the first time since Nov. 30, so there appears to be a chance he'll stop his DNP streak at five games this weekend. If he does, he'll contend with Trent Sherfield for offensive snaps behind Larry Fitzgerald, but Williams' 3.8 yards per target as a pro doesn't offer much promise. Williams (hamstring) didn't participate in Thursday's practice, Darren Urban of the Cardinals' official site reports. Analysis: Williams hasn't dressed for a game since Week 8, and his lack of practice participation Wednesday and Thursday doesn't offer much hope that his streak of absences will come to an end Sunday in Atlanta. Trent Sherfield will continue to benefit from added snaps and targets alongside top wideout Larry Fitzgerald while Williams is sidelined. Williams (hamstring) was held out of practice Wednesday, Darren Urban of the Cardinals' official site reports. Williams (hamstring) is listed as inactive Sunday against the Lions, Darren Urban reports. Williams (hamstring) has been added to the injury report and is questionable for Sunday's contest, Darren Urban of the Cardinals' official site reports. Williams (ankle) practiced fully Wednesday, Darren Urban of the Cardinals' official site reports. Analysis: Williams is getting healthy at an opportune time. His fourth consecutive absence Sunday in Green Bay coincided with rookie phenom Christian Kirk breaking his foot, ending the latter's season. Kirk averaged 5.7 targets per game, traffic that will now likely be directed toward Williams, among others. Whether Williams will be able to take advantage of the situation is another story. In 14 career appearances, he's managed just 3.8 yards per target. Williams (ankle) is listed as inactive Sunday at Green Bay, Darren Urban of the Cardinals' official site reports. Analysis: Williams didn't progress beyond limited showings in practice this week, so the Cardinals will give him a bit more time to recover from the ankle injury that has so far resulted in four consecutive absences. Trent Sherfield and J.J.Nelson will continue to serve as the peripheral options in a wide receiving corps that is dominated by Larry Fitzgerald and Christian Kirk. Williams (ankle) is listed as questionable for Sunday's game against the Packers, Darren Urban of the Cardinals' official site reports. Analysis: The designation comes on the heels of limited participation in practices Wednesday through Friday. Because Williams hasn't suited up since Week 8, it's possible the Cardinals will want to see the wideout go through a full practice before clearing him to play, making it difficult to bank on him suiting up this weekend. A decision on Williams' status one way or the other should be known when the Cardinals release their inactive list approximately 90 minutes prior to the 1 p.m. EST kickoff. Williams (ankle) was a limited participant in Thursday's practice, Darren Urban of the Cardinals' official site reports. Analysis: Williams has missed the Cardinals' last three games, so he may need to advance to full participation in practice for the team to sign off on his return to the lineup this weekend against Green Bay. Even if Williams shakes off the injury and reclaims a regular role in three-wideout formations, there probably won't be much fantasy value to mine here. He's averaging a deplorable 3.6 targets per game and has scored only once over eight appearances. Williams (ankle) was a limited practice participant Wednesday, Darren Urban of the Cardinals' official site reports. Analysis: After missing three games due to an ankle injury, Williams is trending in the right direction toward a return. In the end, Williams is upholding coach Steve Wilks' comments from Monday, when Wilks told Josh Weinfuss of ESPN.com that he's "very hopeful" the second-year wideout will be able to suit up for Sunday's game in Green Bay. Even if he does, though, Williams hasn't displayed much promise in his short career, averaging 3.8 yards per target across 14 contests. 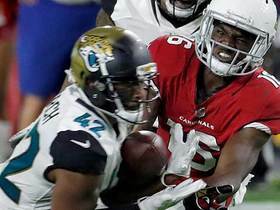 Coach Steve Wilks said Monday that he's "very hopeful" Williams (ankle) will be able to play in the Cardinals' Week 13 game at Green Bay, Josh Weinfuss of ESPN.com reports. Williams (ankle) won't play Sunday against the Chargers, Mike Jurecki of the Cardinals' official site reports. Analysis: Averaging 3.6 yards per target and 3.9 targets per game, Williams hasn't been missed since he suffered an ankle injury Week 8. The Cardinals will continue using Trent Sherfield and J.J. Nelson behind top targets Larry Fitzgerald and Christian Kirk. Williams (ankle) didn't practice Wednesday, Darren Urban of the Cardinals' official site reports. Analysis: Williams missed the Cardinals' past two games and isn't on the right track to return to action in Sunday's road matchup with the Chargers. Trent Sherfield and J.J. Nelson essentially split the No. 3 receiver job in the Week 11 loss to Oakland, combining for just three targets behind starters Larry Fitzgerald and Christian Kirk. The Cardinals weren't getting much from Williams prior to that and haven't been getting anything better from his replacements. Williams (ankle) has been ruled out for Sunday's game against the Raiders, Darren Urban of the Cardinals' official site reports. Analysis: Given his woeful mark of 3.6 yards per target, Williams may not have a spot in the offense once he returns to health. The Cardinals used Trent Sherfield as their No. 3 wide receiver in last week's 26-14 loss to the Chiefs, but the undrafted rookie finished without a target on 39 snaps. Arizona might try to include Kendall Wright in its offensive game plan this week. Williams (ankle) didn't participate in practice Wednesday, Darren Urban of the Cardinals' official site reports. Williams (ankle) has been ruled out for Sunday's game against the Chiefs, Darren Urban of the Cardinals' official site reports. Analysis: Averaging just 3.9 targets per game and 3.6 yards per target, Williams has been one of the least effective starters in the NFL this season. His absence will free up snaps for some combination of J.J. Nelson, Kendall Wright and Trent Sherfield. Williams (ankle) didn't practice Thursday, Josh Weinfuss of ESPN.com reports. Analysis: Williams continues to miss the Cardinals' on-field prep for Week 10 with an ankle injury. If he gets past the health concern and is able to suit up Sunday at Kansas City, he's not a great bet to produce. Despite earning the fifth-most targets (31) on the team this season, Williams' catch rate (35.5 percent) and YPT (3.6) are exceedingly poor. Williams (ankle) wasn't on the field for the open portion of Thursday's practice, Katherine Fitzgerald of The Arizona Republic reports. Williams was held out of Wednesday's practice with an ankle injury, Josh Weinfuss of ESPN.com reports. Analysis: Williams hasn't done much with the No. 3 receiver job this season, catching 11 of 31 targets for 113 yards and a touchdown while playing 78 percent of the Cardinals' offensive snaps. Even if his injury isn't serious, the Cardinals may eventually give some of his reps to J.J. Nelson, Kendall Wright or Trent Sherfield. It makes sense for a rebuilding team to take a long look at a recent third-round pick, but Williams has arguably been a detriment to quarterback Josh Rosen's development. Williams caught both of his targets for 21 yards during Sunday's 18-15 win versus the 49ers. 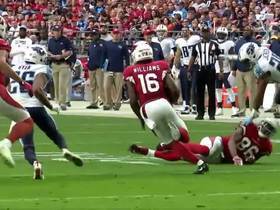 Analysis: On any given Sunday, Williams is fourth, at best, in the pecking order among Cardinals receivers behind Larry Fitzgerald, Christian Kirk and David Johnson. In essence, Williams is clamoring for targets with the likes of Ricky Seals-Jones, Jermaine Gresham, Chase Edmonds and occasionally J.J. Nelson. With unwieldy peripheral stats -- 35.5 percent catch rate, 3.6 yards per target -- Williams is difficult to trust in most formats at the moment. Williams brought in four of eight targets for 34 yards Thursday in the Cardinals' 45-10 loss to the Broncos. Williams reeled in one of his two targets for five yards during Sunday's 27-17 defeat at Minnesota. Analysis: If one goes by snap count, Williams is safely in the top three at wide receiver in Arizona behind Larry Fitzgerald and Christian Kirk. That said, Williams' production doesn't paint such a rosy picture. While he recorded a catch Sunday, he has just five on the season on 21 targets. His catch rate has only experienced modest improvement from Sam Bradford and Josh Rosen, so it's difficult to forecast an increase in fantasy relevance any time soon. Williams gathered in two of six passes for 23 yards during Sunday's 28-18 win over San Francisco. Williams tallied a 22-yard touchdown during Sunday's 20-17 loss to the Seahawks. Williams (illness) logged a full practice Thursday, Darren Urban of the Cardinals' official site reports. Analysis: Williams was limited in Wednesday's session after coming down with an illness. The second-year wideout has handled a large share of snaps so far this season, but has only recorded one catch for eight yards in three games to date. 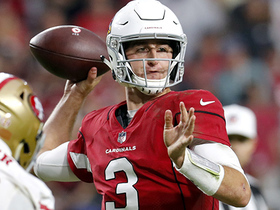 With Josh Rosen now starting at quarterback for the Cardinals, there's a chance that Williams will see an uptick in production if the two gain on-field chemistry in the coming weeks. Williams was limited during Wednesday's practice due to an illness, Darren Urban of the Cardinals' official site reports. 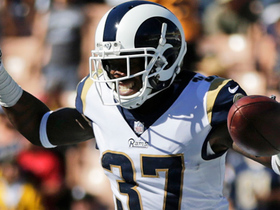 Williams was held without a catch on three targets during Sunday's 34-0 road loss to the Rams. Williams played 50 of the Cardinals' 53 offensive snaps during Sunday's 24-6 loss to the Redskins. Analysis: Despite being used the most among non-Larry Fitzgerald wideouts, Williams came up empty in the box score, failing to haul in any of his three targets. The Cardinals offense as a whole rarely found a groove during the first game of the Sam Bradford era, but Williams' lack of output is concerning considering his Week 1 workload. Williams' job doesn't get any easier this Sunday with a visit to the talent-laden Rams. Williams is listed as a starter on the Cardinals' initial depth chart, Kyle Odegard of the team's official site reports. Analysis: That said, Odegard adds that he'd "assume it will be a steady rotation of Williams, Christian Kirk and J.J. Nelson" alongside top wideout Larry Fitzgerald out of the gate this season. Though Williams may be listed as a starter, Kirk's higher ADP is reflective of the upside the second-rounder brings to the table. Cardinals coach Steve Wilks acknowledged that Williams and Christian Kirk have created some separation in the battle for playing time behind Larry Fitzgerald, Darren Urban of the team's official website reports. Williams (knee) is expected to play in Saturday's preseason opener against the Chargers, Kyle Odegard of the Cardinals' official site reports. Analysis: Williams missed practice time in training camp due to tendinitis in one of his knees, but his ability to suit up Saturday suggests the issue isn't a huge deal. Competing for depth slotting under the legendary Larry Fitzgerald, Williams probably won't enter the game until the second-team offense comes in, but there's still a chance he could see some reps with the first-teamers. Williams returned to practice Thursday after a bout with knee tendinitis, Kyle Odegard of the Cardinals' official site reports. Williams will compete for one of 2-3 open spots on the wide receiver depth chart behind Larry Fitzgerald and 2018 second-round pick Christian Kirk this offseason, Kent Somers of The Arizona Republic reports. Williams will face competition from recent acquisition Brice Butler during training camp, Darren Urban of the Cardinals' official website reports. Williams was active for six games during the 2017 season. Williams (illness) is listed as inactive Sunday versus the Giants, Darren Urban of the Cardinals' official site reports. Analysis: An illness afforded Williams just one limited practice session this week. That said, the impetus for his return to the inactive list is the return of John Brown from turf toe, which forced a four-game absence. Williams is a good bet to be a DNP the last two weeks of his rookie campaign. Williams (illness) is listed as questionable for Sunday's game versus the Giants, Darren Urban of the Cardinals' official site reports. Analysis: As he dealt with an illness this week, Williams followed a DNP/limited/DNP practice regimen. Reverting to no activity Friday after some Thursday isn't a great sign entering the weekend. His cause may be hurt further by the potential return of John Brown (turf toe) from a four-game absence. If Brown is cleared to play Sunday, Williams could be the odd man out in the receiving corps. Williams (illness) practiced in a limited capacity Thursday, Darren Urban of the Cardinals' official site reports. Williams (illness) was listed as a non-participant on Wednesday's injury report, Darren Urban of the Cardinals' official site reports. Analysis: Williams probably isn't dealing with anything more than the flu, which is what Josh Weinfuss of ESPN.com reports one of Williams' teammates is dealing with. Williams' availability for Sunday's game against the Giants likely won't be in any danger unless his absence extends into the latter portions of the week. Williams logged 29 of the Cardinals' 73 offensive snaps during Sunday's 27-24 win versus the Jaguars. 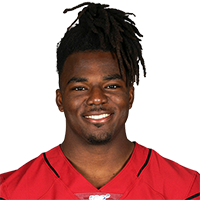 Head coach Bruce Arians said Monday that Williams will be active for Sunday's game against the Jaguars, Kyle Odegard of the Cardinals' official site reports. 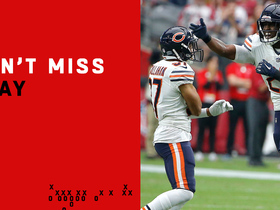 Analysis: During Sunday's 31-21 defeat in Houston, Larry Fitzgerald hauled in nine of 10 passes from Blaine Gabbert for 91 yards and one touchdown, but the rest of the available wide receivers managed just five catches (on 12 targets) for 54 yards. Williams' reintroduction to the lineup may have come earlier if he wasn't afflicted by a back injury in Weeks 9 and 10. No matter, the rookie wideout is expected to be active this weekend for the first time since Week 3. Williams (coach's decision) is inactive for Sunday's contest in Houston, Darren Urban of the Cardinals' official site reports. Analysis: Williams was held out the last two games due to a back injury, but now deemed healthy he'll revert to a healthy scratch, as he has been in all but two games this season. The receiving corps will continue to be populated by Larry Fitzgerald, John Brown, Jaron Brown, J.J. Nelson and Brittan Golden. Williams (back) wasn't listed on the Cardinals' injury report Wednesday, Darren Urban of the team's official site reports. Analysis: Absent the past two games with a back injury, Williams has sidestepped the report this time around. However, he's only been active when the receiving corps was ravaged by injuries Weeks 2 and 3, meaning he's hard-pressed to suit up Sunday in Houston with every receiver running at full capacity aside from John Brown (back), who was limited at practice Wednesday. Williams (back) is inactive for Thursday's game against the Seahawks. Analysis: Williams appears to be getting healthier after turning in limited practices all week. No matter, he's among the Cardinals' inactives for the sixth consecutive game as he remains buried in a deep receiving corps. Williams (back) is listed as questionable for Thursday night's game against the Seahawks, Mike Jurecki of Arizona Sports 98.7 FM reports. Analysis: Williams was limited in practice this week after sitting out last Sunday's win over the 49ers. The 23-year-old hasn't been active since Week 3 and likely would see snaps on special teams and minimal reps at receiver, if he's able to play. The availability of Brittan Golden (groin), also listed as questionable, also will be a factor in whether Williams suits up. Williams (back) is listed as inactive Sunday in San Francisco, Darren Urban of the Cardinals' official site reports. Analysis: If Brittan Golden had been in worse shape, health-wise, Williams may have been active for the first time since Week 3. Instead, Golden is available for special-teams work and perhaps some reps as a receiver, while Williams will log a fifth consecutive DNP. Williams has a back injury and is listed as questionable for Sunday's game against the 49ers, Brian McNally of the Richmond Times-Dispatch reports. Analysis: Williams did not practice Thursday and Friday after putting in a limited session on Wednesday. The 23-year-old has not been active since Week 3, and regardless of injury was unlikely to have a significant offensive impact with the Cardinals' top four receivers currently healthy. 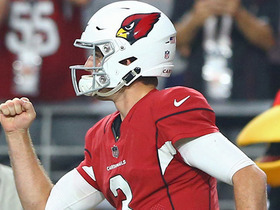 With two minutes left in the game, Arizona Cardinals quarterback Josh Rosen leads the Cardinals to victory with a game-winning touchdown drive. 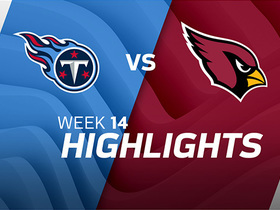 Arizona Cardinals quarterback Josh Rosen scored his first NFL touchdown, a 22-yard pass to wide receiver Chad Williams. Chicago Bears defensive back Sherrick McManis dives to intercept Arizona Cardinals quarterback Sam Bradford. Los Angeles Rams cornerback Sam Shields picks off Arizona Cardinals quarterback Sam Bradford for his first interception since the 2015 NFL season. Arizona Cardinals wide receiver Chad Williams explodes downfield for 33 yards. Jacksonville Jaguars safety Barry Church intercepts Arizona Cardinals quarterback Blaine Gabbert.